Greece and Macedonia on Sunday signed a historic preliminary agreement to rename the country the Republic of North Macedonia, ending a row that has poisoned relations between the two neighbours since 1991. “This is a brave, historic and necessary step for our peoples,” said Greek Prime Minister Alexis Tsipras. “We are here to heal the wounds of time, to open a path for peace, fraternisation and growth for our countries, the Balkans, and Europe,” he said. “Our two countries should step out of the past and look to the future,” said Macedonia Prime Minister Zoran Zaev. “Our peoples want peace… we will be partners and allies,” he said. The accord begins to unravel one of the world´s longest — and arguably most arcane — diplomatic disputes, which began 27 years ago with Macedonia´s declaration of independence but whose roots date back centuries. “The time has come again to sing happy songs in the Balkans,” Tsipras said, moments before the document was signed by the two countries´ foreign ministers. Tsipras and Zaev embraced on the village dock and entered the large tent where the deal was signed to a standing ovation from gathered dignataries and officials. UN under-secretary-general for political affairs Rosemary DiCarlo, longterm UN negotiator Matthew Nimetz, EU diplomatic chief Federica Mogherini and EU enlargement commissioner Johannes Hahn were at hand. Nimetz, who turned 79 on Sunday and also signed Sunday´s agreement, had been trying to broker a solution since 1994, first as a US envoy and subsequently on behalf of the United Nations. But it was the election of Zaev in 2017, replacing nationalist PM Nikola Gruevski, that proved crucial. An economist and former mayor of Strumica, Zaev made rapprochement with Greece a priority to secure his country´s membership of the European Union and NATO, blocked by Athens for years. After the signature, Tsipras will cross over to the Macedonian side of Lake Prespa for lunch, becoming the first Greek prime minister to visit the neighbouring state. Since 1991, Athens has objected to its neighbour being called Macedonia because it has its own northern province of the same name, which in ancient times was the cradle of Alexander the Great´s empire — a source of intense pride for modern-day Greeks. US President Donald Trump’s former election campaign manager, Paul Manafort, was sent to jail pending trial on Friday after being charged with witness tampering, the latest episode in his long fall from grace. Manafort, a long-time Republican operative and businessman, is a target of Special Counsel Robert Mueller’s investigation into Russia’s role in the 2016 election and has been indicted on mostly financial-related charges, including conspiring to launder money and defraud the United States. He pleaded not guilty on those charges and had been on home confinement in Virginia, required to wear an electronic monitoring device. Mueller last week charged him with witness tampering in the case. Manafort pleaded not guilty to that charge on Friday but US District Judge Amy Berman Jackson in Washington revoked his bail, sending him to jail. The famed Mackintosh Building in Scotland’s biggest city has been “extensively damaged”, fire chiefs said. A restoration project, set to cost between Â£20 million and Â£35 million ($26.5 million and $46.5 million; 23 and 40 million euros), had been returning the world-renowned institution to its former glory following a fire in 2014. But much of that work has been wrecked, firefighters confirmed, after rushing to tackle the inferno which broke out at around 11:20 pm (2220 GMT) on Friday. 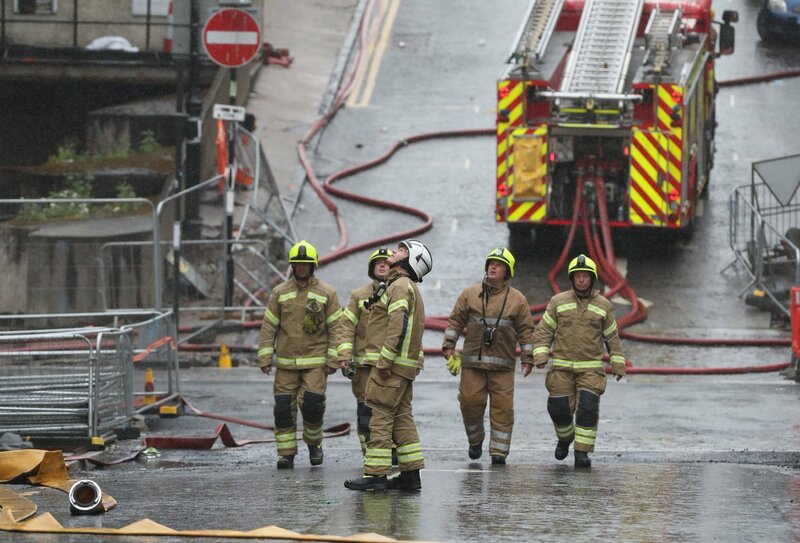 “This is a devastating loss for Glasgow,” deputy assistant chief fire officer Peter Heath told a press conference. He said firefighters who had battled to save the building four years ago were distraught to be back at the scene after it went up in flames again. Scottish First Minister Nicola Sturgeon said her heart “breaks for Glasgow’s beloved” art school, which is housed in one of Britain´s most cherished buildings. “It is hard to find words to convey the utter devastation felt here and around the world for the iconic Mackintosh building,” she said. Local residents were evacuated from their homes with the glow from the blaze visible across the city centre. The fire affected all floors of the art school and spread to a nearby campus and a nightclub. Britain’s Scotland Secretary David Mundell said he was at the school only a fortnight ago to see the restoration work. He said the government “stands ready to help, financially or otherwise”. The previous blaze was in May 2014, badly damaging the building designed by the architect Charles Rennie Mackintosh. A Glasgow-born architect and designer, Mackintosh (1868-1928) was a leading exponent of Art Nouveau, whose distinctive lines and lettering remain influential. “Can’t believe what´s happening to the art school. Terrible,” said Franz Ferdinand frontman Alex Kapranos. The 2014 blaze began when a projector ignited gases from expanding foam used in a student project, a fire investigation found. Federation of Indian Micro and Small & Medium Enterprises (FISME – www.fisme.org.in ) has been actively involved in promoting trade between India & Taiwan. In the last couple of years we have organized several delegations to Taiwan viz., TIMTOS (Machine Tool Show), Food Taipei, MTDU0 (Manufacturing Technology Show) etc. Visit to Rahoe Market (departure from hotel at 6pm) Delegates can have dinner at the market. Full day City tour including visit to Chang Kai Shek Memorial, Taipei 101, Tamsui (new Taipei), & Electronics Market. · Transfers for sight-seeing are included. In addition, transfer to restaurants (for dinner) are also included. · Courier charges (Blue dart courier) for sending the passport after visa is granted. · Airfare: (Air tickets to be booked by the delegates and at their own cost). The delegates are free to book their tickets on airlines of their choice. Also, they have the freedom to select the flight timing as per their convenience. If the delegate wish to extend the stay in Taiwan they can do so on their own and bear the cost). If the delegates need any assistance for booking the tickets the same would be provided by us (it may be noted that our date of hotel accommodation, pick up and drop from the airport is fixed and is not flexible). · Visa Fee: The Visa fee as charged by the Taiwan authorities. Currently, Rs. 3000/- for single entry visa. Indian citizens having valid US or Schengen visa have to complete the visa formalities online only and they are also exempted from payment of visa fee. Any change in Visa fee has to be borne by the delegate. · Food: Lunch & Dinner, delegates have to bear the cost (for dinner transportation to restaurant and back would be provided and cost included in the package). · Others: Whatever is not mentioned in the inclusions (given above) is all excluded and delegates have to bear the same on their own. The decision to grant visa is taken by the officials of the Taiwan Economic and Cultural Center (TECC) in india and FISME would not be responsible for any liability for refusal to grant visa to any delegate. The Cheque/Demand Draft should be in favour of Federation of Indian Micro and Small & Medium Enterprises (FISME). In case of DD it should be payable at New Delhi. For those who want to transfer the payment online, please let us know and we would provide you with our bank details. The final confirmation from our end would be subject to availability of seats & delegates meeting the minimum criteria. The last date to avail Special Delegate Charges is 20th June 2018 (along with receipt of duly filled in application form which would be sent on hearing about your interest to join the delegation). Thereafter, the Special Delegate Charges could be extended if seats are still available under that category otherwise delegates have to pay the Standard charges. After confirmation, any cancellation up to 13th July 2018 would result in 30% per cent as cancellation charges and thereafter it would be 100%. · If there is any increase in tax structure the same would have to be borne by the delegate and in case of decrease the same would be refunded to the delegate. · The organizers reserve the right to cancel the delegation if the strength is below 15 pax. · Delegates opting for room on double occupancy have to find their partner themselves. Otherwise, they would be allotted room on single occupancy and charged accordingly. We hope you would find the above in order and look forward to your participation. A taxi drove into a crowd of pedestrians near Moscow’s Red Square on Saturday, injuring eight people including two Mexicans in the city for the soccer World Cup which Russia is hosting, officials and eyewitnesses said. The incident took place as residents and visiting soccer fans thronged the centre of Moscow on a balmy summer evening, a short distance from the Kremlin. Moscow’s traffic management authority said the taxi driver had a driver’s license issued in Kyrgyzstan, a mainly Muslim ex-Soviet republic. It cited the driver, who was in police custody, as saying he had not driven into the crowd on purpose. The city’s police said they had opened a criminal investigation into a suspected violation of the traffic code. Eight people were hurt and had been taken to the hospital, Moscow city’s healthcare department said in a statement. It said seven were in a satisfactory condition, while one woman was seriously hurt. The Mexican embassy in Moscow said two Mexican women had been lightly injured. Also among those hurt were a Ukrainian and two Russian citizens, Russia’s TASS news agency quoted a source in the emergency services as saying. Video of the incident posted on social media showed the yellow Hyundai taxi pull sharply out of a line of stationary traffic, accelerate and mount the narrow pavement, which was packed with pedestrians. The vehicle drove for about 10 meters along the pavement, bowling over pedestrians, with some of them being carried along on the bonnet of the car. The taxi came to a halt after hitting a traffic sign. As bystanders tried to pull open the driver’s side door, the driver, dressed in black trousers, and a black T-shirt, jumped out and sprinted away. More bystanders chased after him and could be seen trying to tackle him to the ground as the footage ended. Witness said, the people hit were wearing Mexican team colours. Mexico take on Germany on Sunday in their first World Cup match at Moscow’s Luzhniki stadium, and thousands of Mexican fans are in the Russian capital. Another witness, Viktoria Geraimovich, said she called the emergency services on her mobile phone. “It’s scary that it was in the centre (of Moscow) and I was right opposite,” she said. Moscow’s traffic management authority said the driver was not drunk and Interfax news agency cited a source saying there was no alcohol in his blood. The same source told Interfax the driver had said he fell asleep at the wheel and accidentally pressed the accelerator pedal. Russian authorities have vowed to host a safe soccer World Cup, which Russia is hosting for the first time ever. It is taking place in 11 cities until July 15. In central Moscow, authorities have installed heavy concrete blocks across the entrances to pedestrianized areas following a spate of incidents in European cities in which vehicles were used to mow down people. The U.S. State Department on Friday updated its travel advice on Russia, saying terrorist groups were plotting attacks. “Terrorists may attack with little or no warning, targeting tourist locations, transportation hubs, markets/shopping malls, and local government facilities,” the travel advice stated. The Manufacturing sector globally is witnessing paradigm shifts. Several companies are implementing Smart Manufacturing and reaping benefits such as increased competitiveness, productivity, sustainability and reliability. CII is of the view that this phenomenon is here to stay and the Indian manufacturing sector will need to prepare for the various challenges and opportunities posed by this new trend. To help industry understand the contours of this transformation and showcase smart manufacturing in action, CII is organizing a Learning Mission on Manufacturing to Germany from 24 – 28 September 2018. To cover the administrative fees of organizing the mission, CII has proposed a nominal fees of INR 75,000 (CII Member) & INR 85,000 (Non Member) exclusive of GST per participant. (Air travel, stay at hotels and local transportation is to be borne by the participant). I am, therefore, writing to seek your company’s participation as part of the delegation. Companies interested may send their nomination to be part of this delegation latest by 10th August 2018. Please use the attached registration form for sending the nominations. As there are limited seat available, representation will be on a first come first served basis. Look forward to your active participation and early confirmation. Carnegie Endowment for International PeaceWednesday, 20 June 2018, 3:30 to 5:00 p.m.The full discussion will be streamed through Facebook live on . The run up to the 2019 national election promises to be exciting. Join us for a conversation with eminent political scientist Milan Vaishnav for a deep dive into the current state of Indian politics. Dr Vaishnav will focus on the seedy underbelly of electoral politics — how candidates are chosen, how parties and campaigns are financed, and how it all affects electoral outcomes. This is the second discussion in a new dialogue series on Indian politics launched in a partnership between Centre for Policy Research and Trivedi Centre for Political Data (TPCD) at Ashoka University. Please RSVP at president.cpr@cprindia.org. The seating at the venue can accommodate up to 60 people on a first come first serve basis. The CPR-TCPD Dialogues on Indian Politics is a monthly event that brings together academicians, policy and political practitioners, and civil society actors to grapple with important social and political issues in India. It provides a forum for intellectually rigorous, non-partisan commentary to strengthen public discourse on politics in India. In these polarized times, debates on politics in India have tended to be increasingly noisy, blurring the lines between critical engagement and partisan endorsement. This dialogue series is an effort to carve out a space for critical, nuanced engagement to understand the changing dynamics of Indian political parties, the impact of new and emerging social movements and the use of new instruments of mobilization in our polity. The CPR-TCPD Dialogues is curated by the Centre for Policy Research (CPR) and the Trivedi Centre for Political Data (TCPD) at Ashoka University. Founded in 1973, CPR is one of India’s leading think tanks, providing rigorous policy research on a variety of issues. Founded in 2015, TCPD is among India’s most well-respected institutions working with political data, providing data-driven research, policy work and journalism on India’s political life by producing and disseminating in open access scientifically collected and treated political data. The CPR-TCPD Dialogues leverages the unique strengths of these two institutions to provide rigorous and innovative commentary on India’s social and political challenges. Union Minister of Electronics & IT and Law & Justice, Sh. Ravi Shankar Prasad to hold a press conference (combined) as part of on-going programme to inform general public about the achievements made in the past 48 months in the Ministries of Law & Justice and Electronics & IT. Vice Chairman of NITI Aayog Shri Rajiv Kumar andShri Amitabh Kant, CEO will address media after the 4thmeeting of Governing Council of NITI Aayog . Union Ministers of State for Water Resources, River Development and Ganga Rejuvenation Shri Arjun Ram Meghwal and Dr. Satya Pal Singh to be chief guests for WAPCOS Run – Hum Fit to India Fit. The foundation stone of “Auxiliary Production Unite and State-of-the-Art Artificial Limbs Fitting Centre” of Artificial Limbs Manufacturing Corporation of India (ALIMCO) under DEPwD, Ministry of Social Justice & Empowerment will be laid by Shri Manohar Lal, Chief Minister of Harayana. Shri Krishan Pal Gurjar, Minister of State for Social Justice & Empowerment will preside over the function. *The Vehicle for the venue will depart at 10.30 AM from Gate No. 2, CGO Complex (Near Metro Station), New Delhi. Kindly contact Shri R.K. Tripathi, General Manager, ALIMCO on Mobile No. (9839085970) and ShriRaghvendra Singh, (DEPwD) on Mobile No. 9811306868 for any query & assistance. Apps to look at to stay connected with your favourite team during FIFA World Cup! With the commencement of much awaited FIFA world cup 2018, fans all over the world are excited to stay connected with their favourite sport. There are various companies and start-ups that are bringing innovative apps to enhance the experience of the FIFA enthusiasts. Companies are offering unique services like live streaming of the match, live match prediction, social feed, chat forums, etc in order to engage fans during the live matches. The following apps help fans to stay tuned with their favourite team during the series and in turn bringing fans and sports closer. Official FIFA App – This is the official app of FIFA which provides fans with all the information and updates of the live match. The app is available on both Android and iOS to allow users to share the complete schedule of the match with the details of participating teams, live scores, and minute to minute description of the match, etc. Rooter – Rooter is the world’s first sports social gaming platform that connects sports fans and engages them during live sports matches. Rooter offers unique Live match prediction game, Live Fantasy Game and Sports Social Feed across 8 sports and enables a live chat forum where fans interact during live matches with fastest live scores and commentary. The company has geared up for FIFA world cup as well in order to provide a seamless mix of gaming, conversations, and Live scores during the series. One Football – One football app keeps the fans updated with all the latest happenings around the world cup. It provides all the information to their fans to remain top of the game like live score, news, highlights, stats, etc. The app also helps users to make the personalised content based on their favourite team and player. Jio TV App – Jio TV by Reliance will live stream all FIFA World Cup 2018 matches starting from June 14 for free. You need to be on the Jio network, to be able to live stream FIFA World Cup 2018 matches as the JioTV app is exclusive to Jio users. Airtel TV App – Bharti Airtel has rolled out an updated Airtel TV app, to enable users to watch live broadcasts of the upcoming football tournament. The app will help users to stay tuned in regional languages in addition to Hindi and English. The app will also provide fans to with exclusive behind the scenes snippets and match reviews and previews, etc. Mumbai, Thursday, June 15, 2018: As part of LaLiga’s commitment to promote grassroot football in India, the LaLiga Foundation invited Real Betis women team captain Irene Guerrero to conduct a three-day interactive clinic for young female players and coaches of the region’s Rural Football League in Andhra Pradesh’s Anantapur district. The sessions were attended by close to 500 footballers and coaches from 20 mandals. This is the first time an international woman footballer has visited Anantapur. On her three-day tour, Guerrero played with the female footballers at various grassroots centres and interacted with them in a fun, relaxed environment. Guerrero, along with officials from LaLiga also distributed training equipment to footballers from the 20 mandals in Anantapur. Earlier this year through a series of videos, coaches from different football clubs in Spain took the girls throughvarious training methods and shared invaluable tips, while promoting the virtues of playing sport, as well as empowering women to achieve and succeed. The LaLiga Foundation and LaLiga’s women’s football department have signed an agreement with the Rural Development Trust in India, known in Spain as Vicente Ferrer Foundation, with the aim of developing football in the most deprived communities of Anantapur. This will be achieved by establishing conditions in which both individual and collective talent will flourish in India. Through this joint initiative, nearly 2,000 girls and boys between the ages of 9 and 19 will get an opportunity to play sport. Apart from sport, the joint initiative will help instil discipline, self-belief and team spirit in the youngsters, qualities that will help them outside a football field as well. The Anantapur Football League (AFL) is a rural grassroots competition that was founded in 2014/15 season conducted by the Anantapur Sports Academy. The academy is a sport for development initiative by the Rural Development Trust. Since its formation, the AFL has grown in size, expanding both its number of divisions and youth teams. “Through this partnership, we will be able to bring football closer to girls and boys, in the rural regions of Anantapur, Andhra Pradesh. Every child has the ‘Right to Play’ and we are committed to providing children with the opportunity to participate and enjoy the benefits of playing sports,” said Moncho Ferrer, Program Director of the Rural Development Trust. Founded in 1984, LaLiga (Liga de Fútbol Profesional) is a sports association comprising the 42 teams that make up the first and second divisions of professional football in Spain. LaLiga, based in Madrid, is responsible for the LaLiga Santander and LaLiga 123 leagues and the television production, which in the 2016/2017 season reached more than 2.5 billion people globally. The association also has an active foundation and is the only world’s only professional football league with a league for intellectually challenged footballers: LaLiga Genuine. 15-June is observed as World Elder Abuse Awareness Day, this year the theme is “ MOVING FROM AWARENESS TO ACTION-Through a Human Rights Approach”. According to the report published by HelpAge India Delhi figures amongst the top five cities in prevalence of elder abuse, though the incidence is as high as 32% of this 77% did not report the matter to anyone and only .5% took the support of the Mainatainence and Welfare of Parents and Sr. Citizens Act. All these figures are alarming and reflect lack of awareness of their rights by the elders and an absence of a supportive reporting mechanism. Dr. Ashwani Goyal President, Delhi Medical Association, called a special meeting on this issue and said that DMA has taken up this issue very seriously amongst it membership, sensitizing them as possible ‘first responders’ against abuse by their patients. Presently the only possible platform for reporting of abuse is to friends/ neighbours or distant relatives. This fortnight edition of the news bulletin carries full information on this issue, compiled by Dr.G.S.Grewal, Hon State Secretary. Sagar Media Inc: EXHIBITION “Altars Of Yearning: How India Prays” photography show based on India’s incredible secular fabric, 11am-8pm on 15th to 19th June 2018 at Bikaner house New Delhi. 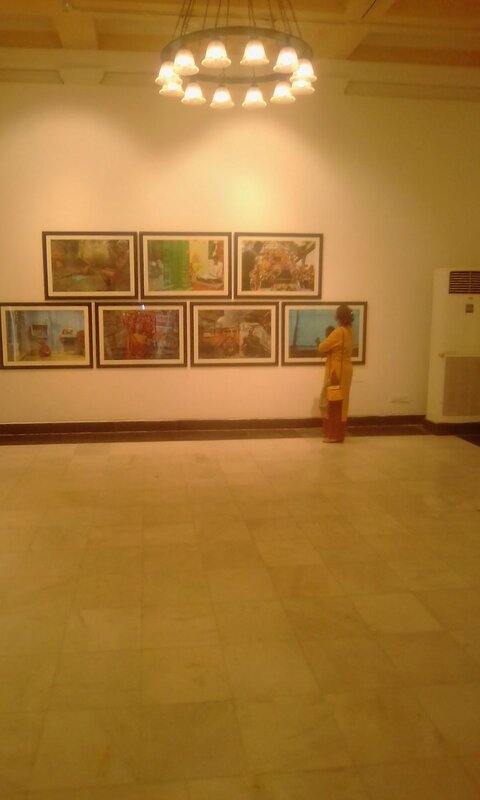 Art Exhibition begin Queensline – Neverland on prayers at Bikaner house New Delhi. A Curtain Raiser for their two celebrated ships Cruising Restaurant floating on sea at Mumbai coastline in the Maritime Continental Shelf and International seas with scenic beauty to begin Oct 18 2018. Queensline Neverland, the cruise floating moving Restaurant from prestigious industrial family Shripriya Dalmia Thirani nextgen multiple celebrations, Wedding, birthday, success, corporate bash. 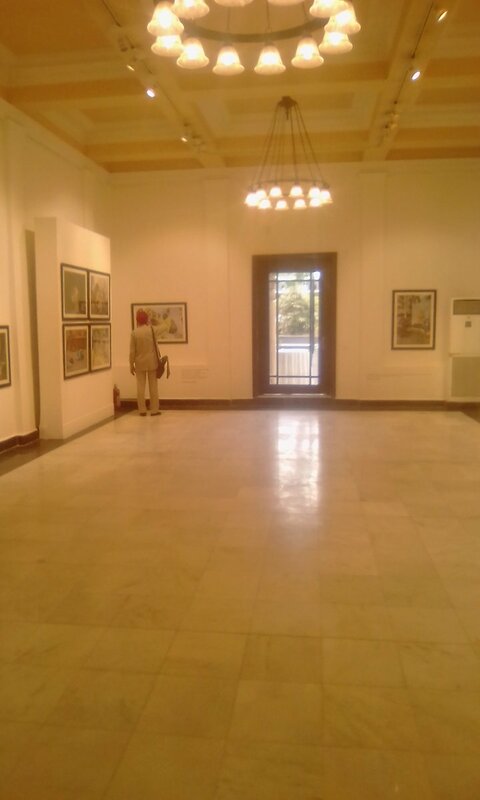 Curtain raiser, opened in style with Lavish bash at Bikaner house, in New Delhi. Cruisers, Culinary, Celebration rocked with presences of models, artists, actors, authors, intellectuals, professors, writers, industrialist, socialites, media, politicians and Ambassadors of Bhutan, Czech, Hungary, France, Israel and officials of UN office in India marked their presence with Chief Guest Mr Ravi Shankar Prasad Minister of Law and Justice and electronics IT along with Guest of Honour,Usha Uthup, pop, filmi, jazz, and playback singer made live appearance. A Curtain Raiser for their two celebrated ships Cruising Restaurant floating on sea at Mumbai coastline in the Maritime Continental Shelf and International seas with scenic beauty. Sagar Media Inc Wishes Eid Mubarak to all tweeters intellectual May this Eid bring peace prosperity celebration and love for all. Inflation based on wholesale prices shot up to a 14-month high of 4 points 43 per cent in May on increasing prices of petrol and diesel, prompting industry to demand action from policymakers to keep fuel prices under check. The Wholesale Price Index (WPI) based inflation stood at 3.18 per cent in April and 2.26 per cent in May last year. According to government data released today, inflation in food articles was at 1.60 per cent in May 2018, as against 0.87 per cent in the preceding month. Inflation in ‘fuel and power’ basket rose sharply to 11.22 per cent in May from 7.85 per cent in April as prices of domestic fuel increased in line with rising global crude oil rates. Inflation in vegetables climbed to 2.51 per cent in May, with potato inflation at a peak of 81.93 per cent. Price rise in fruits was in double digits at 15.40 per cent, while pulses saw a deflation of 21.13 per cent. May inflation at 4.43 per cent was a 14-month peak. The previous high was in March 2017, when the WPI inflation stood at 5.11 per cent. The WPI inflation for March has been revised upwards to 2.74 per cent from the provisional estimate of 2.47 per cent.